Let me start with an example that I think most people can relate to. 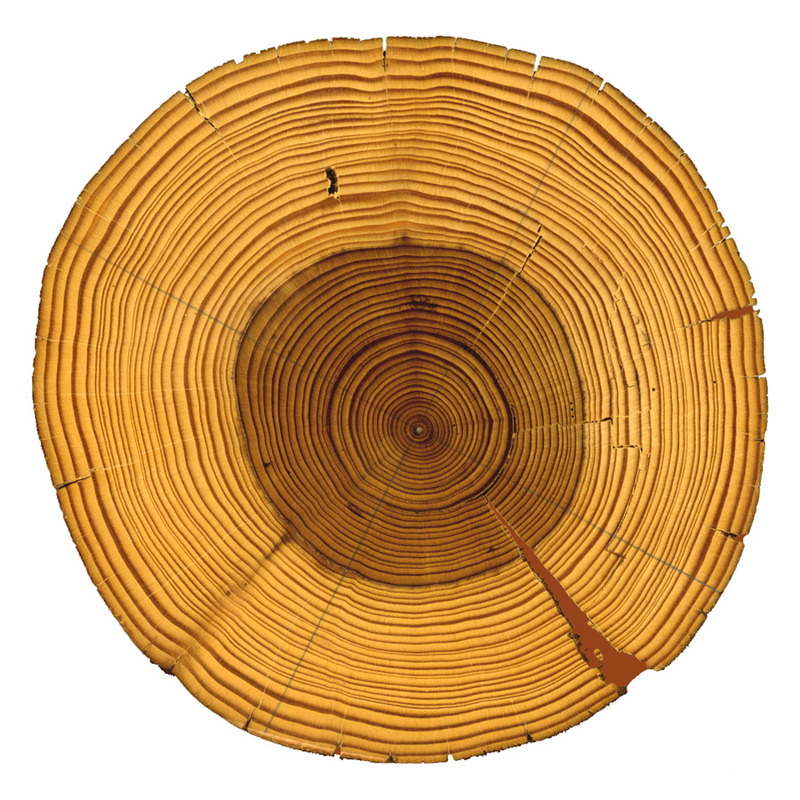 The concentric rings that one can see in the cross section of the trunk of a tree indicate the years which the tree has been alive. Each ring represents a growth cycle during a year: variation in growth rates over the course of a year creates variations in the color within a ring, rendering adjacent rings distinguishable. By counting the number of rings, one can determine the age of the tree (dendrochronology). A thick ring indicates quick growth during that year and a thin ring indicates the growth has been relatively slow (less matter has been put on). During seasons of quick growth, the tree receives adequate water, light, and nutrients, allowing each new cell to reach its full, saturated volume and potential. During slow growth times, in drought and nutrient deficient soils, each new cell must make do with less than it would like. The tree must be more economical; it must build dense, efficient structures. In fine woodworking, the most prized wood is usually harvested from these slow growing trees. They yield a more durable and consistent material for building objects. They are denser and harder, more concentrated and finer grained, darker, stronger, and stiffer. Often, these woods have intricate textures and beautifully complex grain lines. In other words, the trees that have taken the most time to grow, that have struggled continuously, and that have persevered to maturity, are the ones that we value most. There is something about the struggle that ultimately bears a more rich and valuable result. This phenomenon extends to fruit and vegetables as well. For instance, I find from my meager gardening experience that tomato plants which are grown in poor earth with less than ideal sun and less than ideal watering care, usually produce a small quantity of very rich, delicious fruit. On the other hand, tomato plants pampered with the best fertilizer, a roomy raised planter bed, and perfect sunshine and watering care undoubtedly grow like crazy and produce prolifically, but their fruit cannot compare to the quality of those from the plant that struggled. 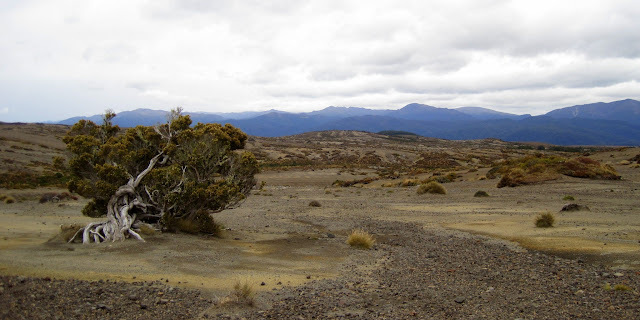 The plant's behavior can also be thought of as an evolutionary conditioned response to its environment. Over the years, the plant's species has been optimized for one ultimate function: to reproduce effectively in whatever niche it finds itself. In an unsupportive niche, the plant must still strive to reproduce. But because of the limited resources in its environment, it must prioritize. It opts to put more work into fewer seeds, but to make those few seeds so tempting that the chance animal chooses to eat its fruit over that of another species (and later poops out the plant's seed in a nice wad of fertilizer to start the struggle again). Other examples of this phenomenon in foods abound. For instance, some of the most exquisite wines are made from grapes grown in dense, rocky soil. Vintners in the south of France insist that these wines are superior because of the less than fertile soil. And, as experts from trial and error over the course of the past few centuries, they should know. Struggle also has a temporal component. The struggle to maturity cannot be hurried. It must take a relatively long time or it is not a struggle. For example, liquors and wines aged over long periods (many years) taste much better than those aged over shorter periods. One drink I can offer as an example here is the Chinese alcohol called baijiu. It is usually made from rice, is usually clear, and is sold in a ceramic bottle. Baijiu aged less than one or two years invariably tastes and burns the throat like diesel fuel. No wonder, its ABV is somewhere around 50%. But try a much more expensive eight to ten year old baijiu. It is some of the best alcohol I have ever tasted. The burn becomes merely a touch after the swallow. Wine is the same. I think this may explain why I don't have much taste for beer - it's just a cheap drink that had it easy. As I've described, struggle forces focus, which in turn results in precision and quality being prioritized over speed and quantity. The curators of zen gardens understand this. (Indeed all craftsmen understand this). The gardeners prune and trim and shape and starve their plants over the course of years in order to shape the plant into an aesthetically pleasing form and appearance. They seek to concentrate the essence and beauty of the plant species through miniaturization. Through their skill, they impose a carefully orchestrated struggle upon the plant in order to create art. This kind of struggle occurs in nature too. My favorite trees are the ancient giant sequoias and those trees that survive in the high, dry alpine slopes. The word that best describes what struggle yields is richness. Bonsai is rich, good wine and alcohol is rich, a delicious tomato is rich, fine dense wood is rich, well-made dark chocolate is rich. Struggle yields richness. Richness is the high end on the spectrum of quality. (The word quality itself seems to me to connote high quality). When I look closely, I find that high quality everywhere has its roots in struggle. Our bodies respond beautifully to struggle. In sports and music and dexterity, world-class performance comes only after years of unceasing struggle and practice. Our minds yield perhaps the best results from struggle. This is why experience and practice are so valuable. This is why MIT students, who in order to graduate are forced to struggle to solve difficult problems every week for at least four straight years, are some of the most prized problem solvers. So far, I've described struggle in terms of the response of living organisms. But as research steadily finds, many other systems respond in similar ways to natural organisms. We can orchestrate struggle in these systems in order to generate rich results. One way to foster struggle is to implement concepts like focus and constraint and time and concentration. I will take the example of product design because I think a lot about product design. Concentration: Have the smartest, most creative people you can find to work on the project. Have them work in the same place. Have them live together if possible. Make them friends. Focus: Have these people work on the one project only. Have their minds immersed in it: its problems, its implications. Work continuously. Constraint: Limit the scope of the project. Have a distinct goal. Time: Expect the project to be completed only after a long time, but make survival an ever present concern. Here is how Apple, a rich corporation, orchestrates struggle in order to generate high quality. (I use Apple because their methods are so thoroughly examined and publicized). Concentration: They attract and hire smart and creative engineers and designers. Focus: They plan a strictly limited line of products. Constraint: (the most interesting concept in this example) By imposing restrictive constraints through the demands of their industrial design, they spur innovation at a much more rapid pace. Time: They foster expectations of hard, long working hours, but the product is only shipped when it is truly ready, even if years behind schedule. Struggle is really hard. So choose carefully where you decide to struggle because it will determine where you are rich.